Fantastic photo! I love these guys, too….They always seem to look content and angry at the same time! Great shot !Happy new year ! Another great shot. So many fantastic shots on here. 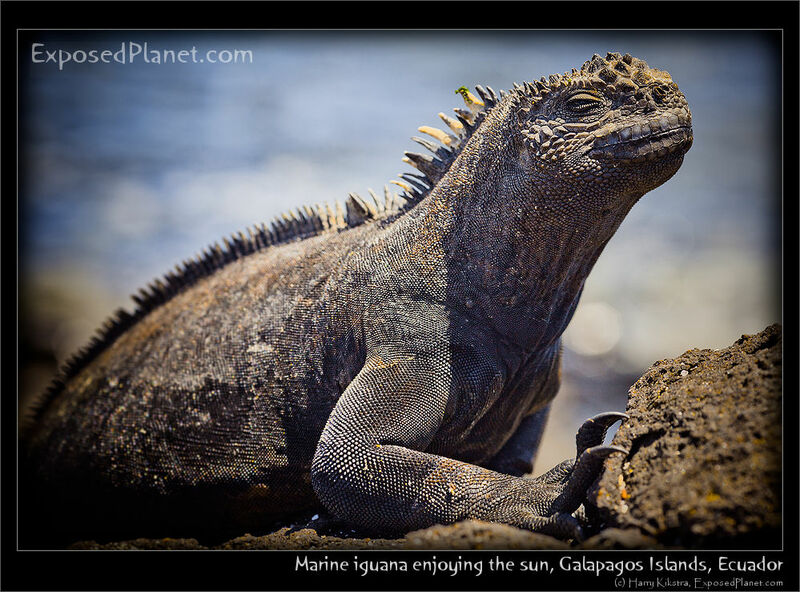 The story behind "Marine iguana relaxing in the sun, Galapagos Islands"
After travelling around on 7 continents, I think I found one of the coolest animals around! These creatures are normally only about a foot long (+ another foot for the tail), though big ones can be double the size and on some islands they are only half the size. But they always look great, often sitting on the rocks to soak in the solar energy before heading out to see to eat. Often they just forage around the rocks and are famous fo their unexpected sneezing, complete with fluids squirting out their nostrils!